Accidents happen, especially on the road. According to the National Safety Council, there are 10 million automobile accidents in the United States every year, involving everything from minor fender benders to major multi-car pile-ups, and according to an article in Forbes, we will each experience an average of three or four accidents in our lifetimes. 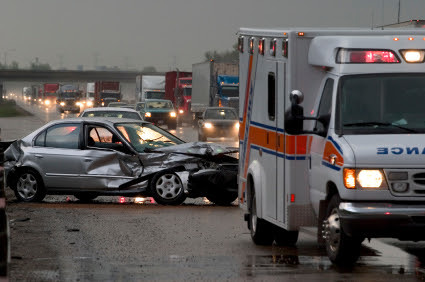 Considering these facts, it’s important for you to know what to do if you are in an accident. The first thing you should do following an accident is to stop and assess the situation. Never leave the scene of a vehicular accident, even if the incident seems minor or there are no outward injuries involved. Instead, move all vehicles to a safe location away from traffic. If moving your vehicle may cause further injuries or damage, then it’s best to wait until the police and emergency services arrive. Once the vehicles are out of the flow of traffic, then determine the extent of injuries and damage of all parties involved. Once you’re safe, call 911 immediately. Even if it’s a minor incident, a police report will likely be needed to file a claim with the insurance company. The police report is also extremely valuable should you have to take a claim to court. Too often we see clients that failed to file a police report, leading to future legal complications. The next step is to gather any important information. Exchange the names, phone numbers, license plate numbers and addresses of all drivers and passengers involved, as well as locations and names of witnesses at the time of the accident. If possible, take pictures of the vehicles and damages. When the police arrive, keep answers precise and accurate. If you’re uncertain of an answer, it’s better to admit so than to speculate or guess. Remember that it may take several hours or even days for injuries to become apparent, so do not be quick to dismiss injuries even if they’re not evident at the scene of the accident. Also, when speaking with other parties involved in the accident, try to keep discussions involving the accident to a minimum and concentrate strictly on the facts. Relay information about the incident to the police, medical professionals, and insurance representatives. Most importantly, do not admit fault or liability at the scene. Finally, the most important step is to protect your rights by consulting an experienced attorney. At Magee & Associates, we have over 50 years of combined experience in helping Covington drivers who have been involved in auto accidents at no fault of their own. If you’ve been injured in an auto accident, then don’t hesitate to schedule a consultation with us today by calling 985-893-7550 or filling out our contact form.